A good post to begin a good week. 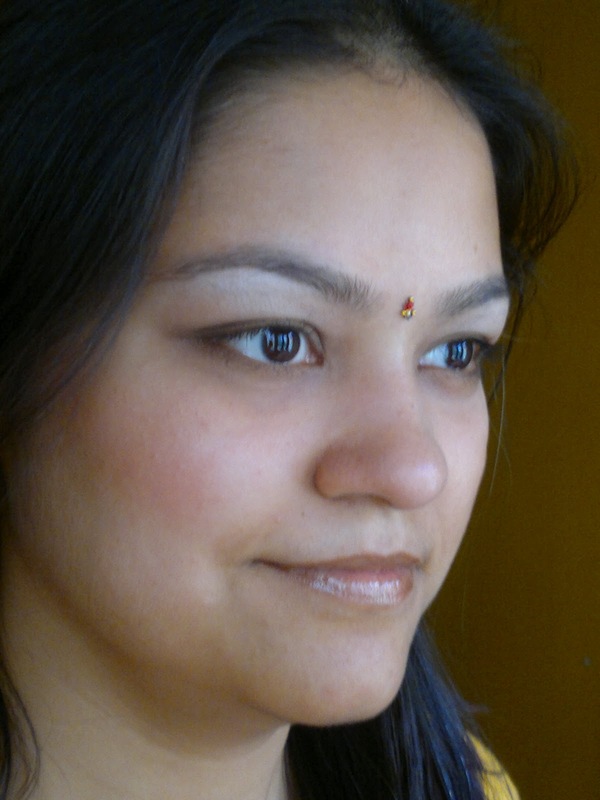 Today will be sharing with you a very simple and basic look which I follow for my office routine. 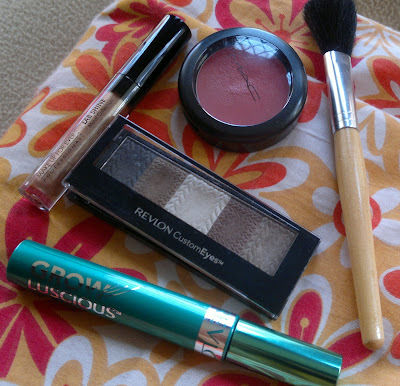 A very simple eye makeup with just three eyeshadows and a neutral lip and face. 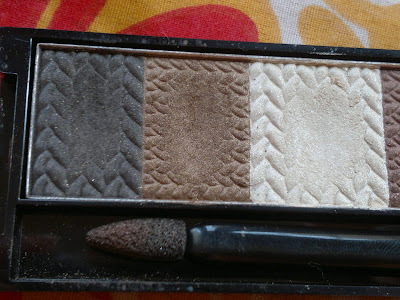 Started out by applying Maybelline compact all over the lid as a base for the eye makeup (on other days when I am not rushing out, I use MAC painterly paint pot). 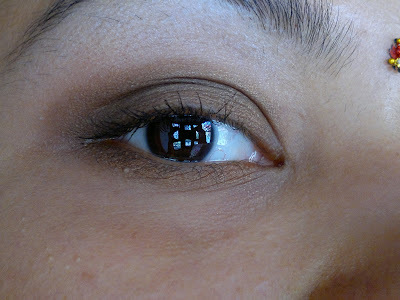 I have applied brownish eyeshadow (present in the middle) all over the eyelid. 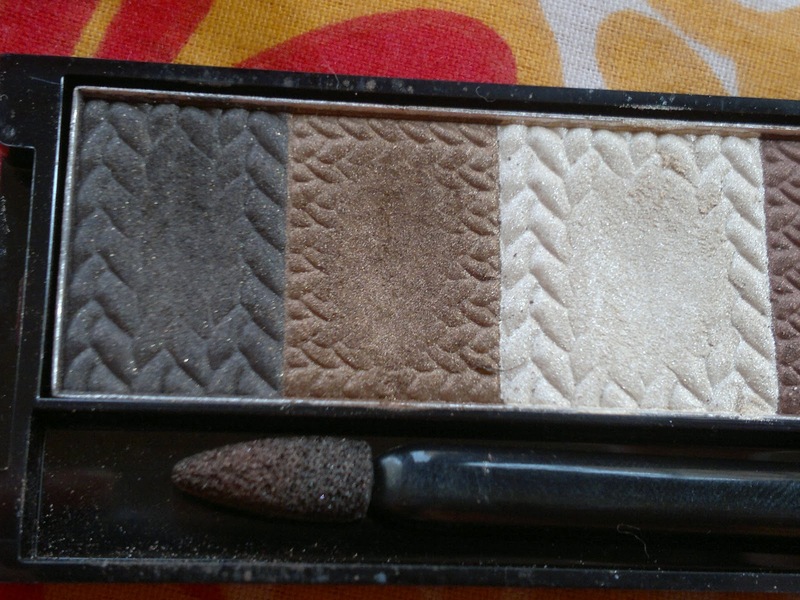 Next, I placed the black one (not a true black) at the outer corner and in the crease, blended both shadows together. Next, comes the highlighter, which I placed on the brow bone and blended the black shadow in the crease as well. Finished the look, by applying mascara on the eyelashes. I didn't use a eyeliner as I have droopy lids and give it a miss on days I put on eyeshadows, on other days I use a liner (would do an liner EOTD soon). Finished the look by applying Posey on my cheeks and MUFE lipgloss on my lips. This is a very simple and basic office look, which takes less than 5 minutes and you are ready on the go. Nothing to flashy and looks put together as well.